New Delhi, April 16: India skipper Virat Kohli and the five wise men -- selectors -- led by M.S.K. 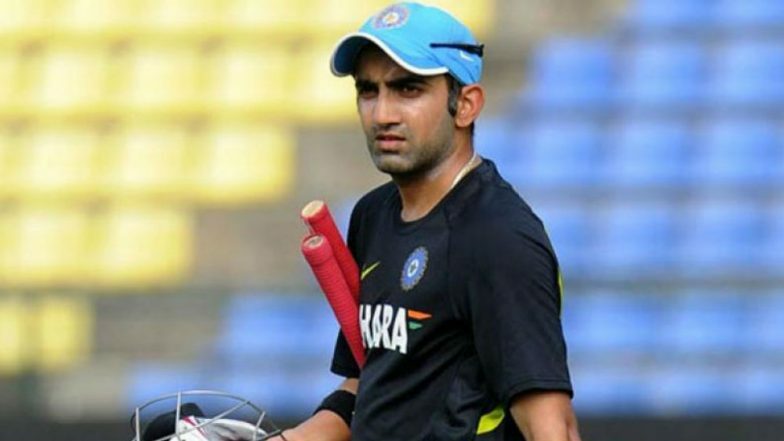 Prasad may have decided to back experience while picking the 15-member squad for the World Cup in England and Wales, but former India opener Gautam Gambhir feels they may have missed out on thinking out-of-the-box and bringing in a few unknown faces to take the opponents by surprise. Speaking to IANS, on the sidelines of the CricPlay media round table, Gambhir said it was for Prasad to show faith in the youngsters and back them. Sunil Gavaskar Surprised at Rishabh Pant Not Being in ICC World Cup 2019 India Squad.